December 7, 2015 - The recent changes in global currencies has been quite dramatic, and they are now showing up as a real eye opener in terms of the changing cost structures of the various North American producing regions, as well as the competitiveness of many countries exporting to China or the U.S. The devaluation of global currencies has been a game changer for countries like Canada, whose currency has plunged against the U.S. dollar. However, most other countries have seen even greater devaluations, including Europe (euro-region), Sweden, Australia, Brazil, Russia and others. 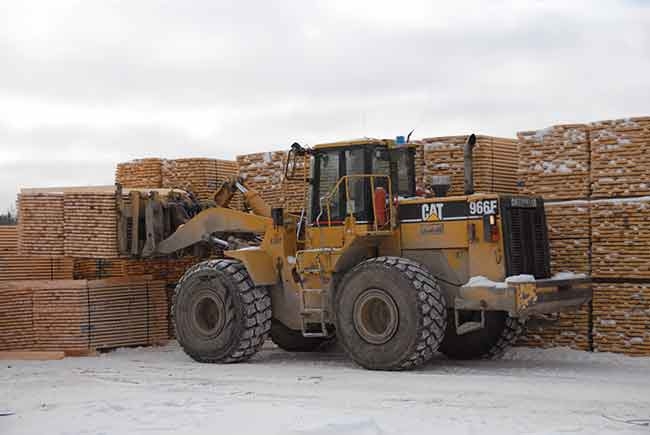 Coupled with weakening export market dynamics, both western and eastern Canadian lumber mills have been lacking adequate markets for their lumber. In the current scenario, if western Canadian mills can’t export normal volumes to China (as well as Japan), then most of their incremental volume will most likely be shipped to the U.S. and/or Eastern Canada. Eastern Canadian mills will then need to divert more of their output, mainly to the U.S. market. Simply put, supply/demand forces have been impacted by currency changes, causing erosion in most commodity prices. The first signs of curtailments started in the third quarter of 2015, not to mention there are no more duties on exports to the U.S. following the expiry of the U.S.–Canada SLA on Oct. 12. The full competitive advantages of a lower Canadian dollar allow exporters to keep producing at lower prices that may not support viable operations at higher cost U.S. mills. The low SPF lumber prices in the third quarter of 2015 have resulted in much wider price gaps with American species in the U.S. market. SPF competes with SYP, Douglas fir, hem-fir and others in floors, walls and roofs of new houses; but there are also many end uses and submarkets in which competition is less obvious. Weekly and annual lumber price spreads for W-SPF and U.S. species, while showing some clear trends, mask what is a highly complex situation. 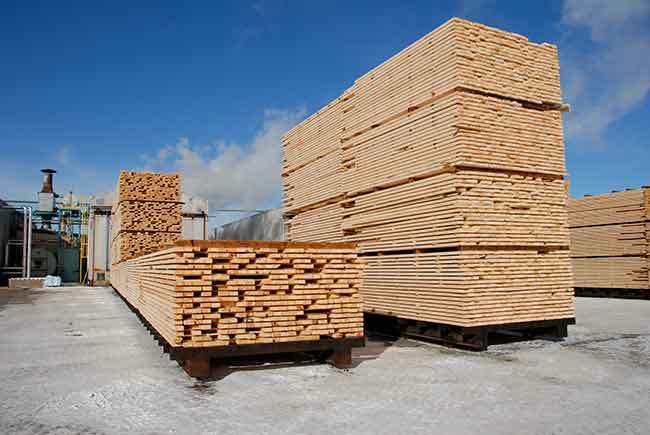 A weakening Canadian dollar has occurred as widening price spreads have become evident for W-SPF over most U.S. lumber species (double or higher in many cases), but whether this is a structural change or just part of the market cycle will be determined over time. Globally, the changing dynamics of currency exchange rates among the major importing and exporting countries of the world have resulted in some huge impacts on log and sawmill costs since 2014. Plunging oil prices and a strengthening U.S. dollar have changed the cost and margin landscape – dramatically for some countries – for both lumber producers and exporters. Those countries whose currencies decreased the earliest and the most, achieved much lower costs and enhanced earnings results than other countries or regions. This was most evident in Russia, where the ruble devalued by almost 50 per cent from the beginning of 2014 to the first quarter of 2015. Sweden was among those countries whose currencies devalued more than others, i.e., the krona off by 24 per cent in the same time period, as compared to the euro (-15 per cent) and the Canadian dollar (-13 per cent). Regional housing markets and economic conditions were generally strong in 2013 and the first half of 2014, and this allowed for steady prices and firm lumber revenues with improving margins. The Chinese market was strong in 2013, but a slowdown in construction caused a rise in inventories and lower prices by mid-2014 that eventually led to a huge collapse beginning early in the first quarter of 2015. 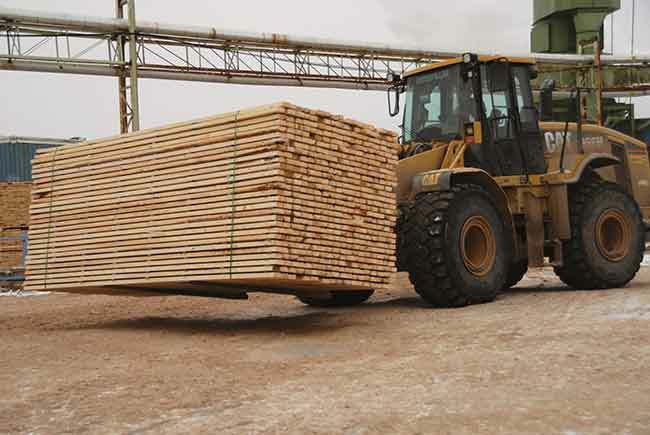 Log and lumber exporters to China started to divert wood to other markets, including the U.S. market, causing a domino effect that led prices to fall in all major markets, eroding sawmill margins. However, the fortunes of Russian lumber exporters has soared, as typical mills have moved from producing at small losses in 2012 to achieving some of the highest sawmilling profits in 2015 – all currency-driven. This compares to the earnings results at mills in Canada in 2014 – they were much improved over their dismal 2012 results. Canada as a whole was just about average on a global scale in terms of sawmill earnings – behind the U.S. and Russia, but ahead of the Southern Hemisphere and Europe. Canadian mills achieved a wide range of regional results, with higher earnings in the west versus half of those seen in the east. Unlike the 2006 to 2012 period during which lumber export duties to the U.S. were in effect, Canadian exporters had no duties for all of 2014 and the first quarter of 2015 (although taxes were in effect starting in the second quarter until the end of the SLA in mid-October). Swedish mills have about the same derived margin as B.C. Interior mills due to their higher selling prices of square-edged lumber. With no softwood lumber agreement in place and a weak Canadian dollar, Canadian mills are competitive at much lower prices. This may lead to some incremental volumes being shipped to the U.S. market, and may mean that U.S.-dollar lumber prices fail to see the levels of 2013 and 2014 until demand moves to much higher levels – perhaps by 2017. The much-discussed downturn in the Chinese lumber market has resulted in flat Canadian SPF export volumes to China as compared to 2014. However, lumber prices have certainly provided a stark confirmation that the Chinese market is in a severe slowdown. The C&F (delivered) Shanghai price of W-SPF KD 2×4 #3 R/L (in US$/m3 terms) into early Q4/2015 tested the lowest levels since Wood Markets began tracking the indicator at the beginning of 2009. In fact, the downward slide in China prices is even more precipitous than the drop in U.S. prices in the same period (using the benchmark W-SPF KD 2×4 #2&Btr R/L, delivered Chicago net of tax). For the past few years, the price spread between B.C.’s main markets (#2&Better to U.S. and #3 to China) has averaged US$38/m3 on W-SPF from 2012 to 2015. However, a wider spread has occurred since June, whereby the spread (discount) selling to China to the end of Q3/2015 has almost doubled to more than US$70/m3. A deeper analysis of the Canadian lumber export volumes does uncover it peaking in around mid-2014 on a 12-month moving-average basis. Since then, there have been more decreasing monthly volumes than increasing ones, as suppliers have chosen to pursue relatively better pricing in the U.S. The reduction in SPF volumes to China now seems to be having an impact: reports indicate that dock inventories are declining as withdrawals outpace new arrivals. For Russian producers, the sagging ruble has enabled them to lead market prices lower as a direct result from their drastically lower delivered costs to the Chinese market, putting extra competitive pressure on the oversupplied market, causing other exporters to lower prices, and exacerbating the situation in China. Demand and supply in China are beginning to find a new balance, and we expect this to lead to a flattening-out of prices before a slow recovery occurs. However, this will also depend on future changes in currency rates amongst the key exporting countries. Russ Taylor is the president of International Wood Markets Group based in Vancouver, B.C., Canada’s largest wood products consulting firm. For more information or to contact Russ Taylor visit www.woodmarkets.com.